We are so excited to announce a trunk show with Sugar Plum Circus!!!! I started following Sugar Plum Circus when her Instagram account was Truffle Shuffler and Jensen was creating the CUTEST stitch markers. She obviously has a gift for color and design! 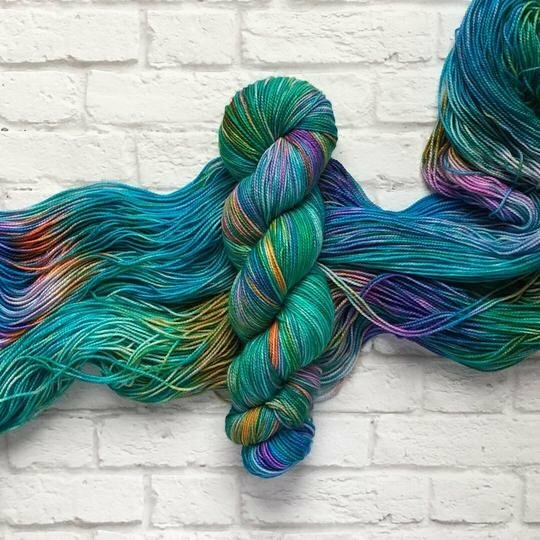 But the girl has some major yarn dying talent too!!! Come check out her trunk show and see these beauties in person!! Check out all her amazing-ness at www.sugarplumcircus.com as well as @sugarplumcircus on Instagram! Stop into the shop from noon to 4pm on Sunday, February 17th to see everything in person! !